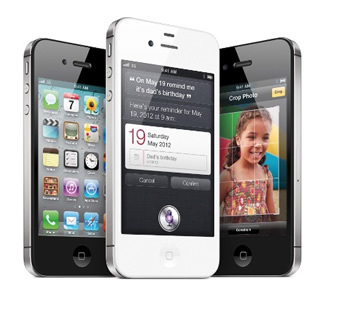 Few analysts felt that the Fall launch of the iPhone 4S would result in nothing but success. The fifth generation iPhone handset proved to be enough to propel the iOS mobile platform to near parity of the dominant marketshare controlled by Google. Both Nielsen Research and the NPD Group have confirmed that the two most popular smartphone operating systems came within just a few points of each other, leaving Windows, RIM and other competitors in the dust. The NPD Group was first to report the performance, noting that iOS market share grew from 26% in September to 43% by November. Apple’s growth came at the expense of Google, which shed 13 percent during the same period, down to 47% from a high of 60% to conclude the third quarter. Nielsen’s Q4 Mobile Insights report verified the above results, confirming that iOS grew to 44.5%, allowing Google’s open source platform to maintain its position by a slim 2.4 percent.